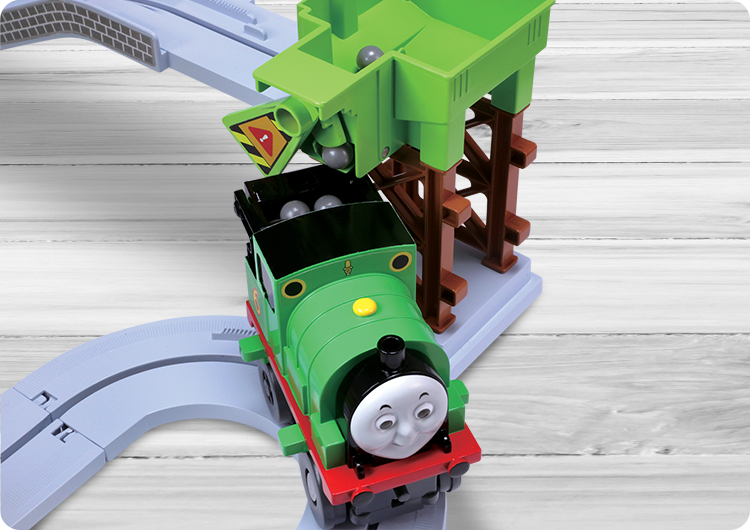 Start by loading Percy up with Cargo. 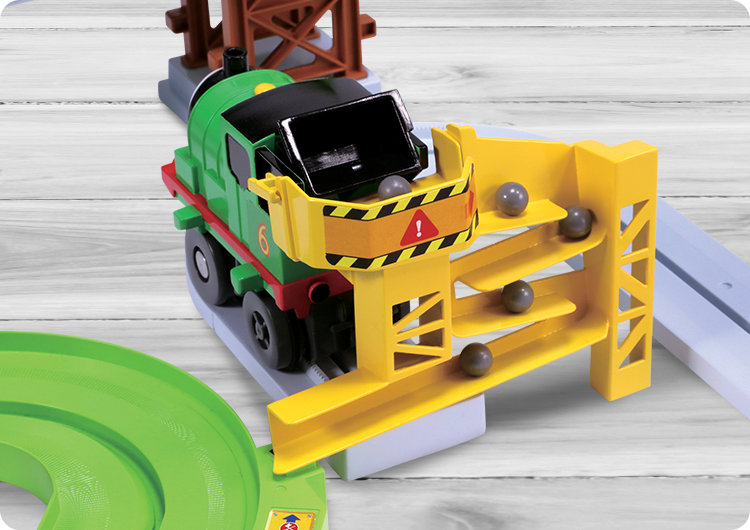 Watch the cargo roll down the ramp where it's ready for Terence. 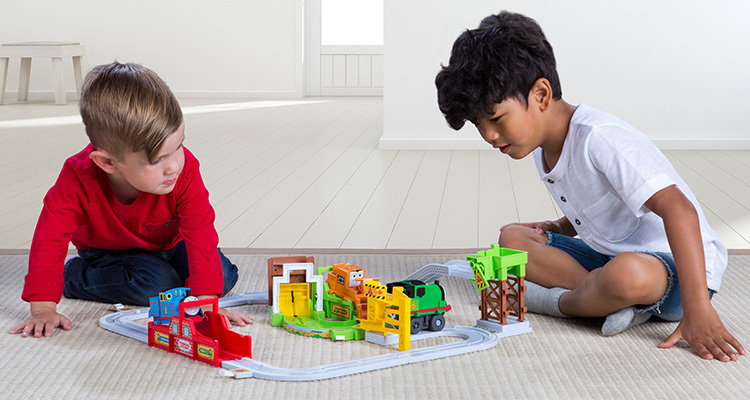 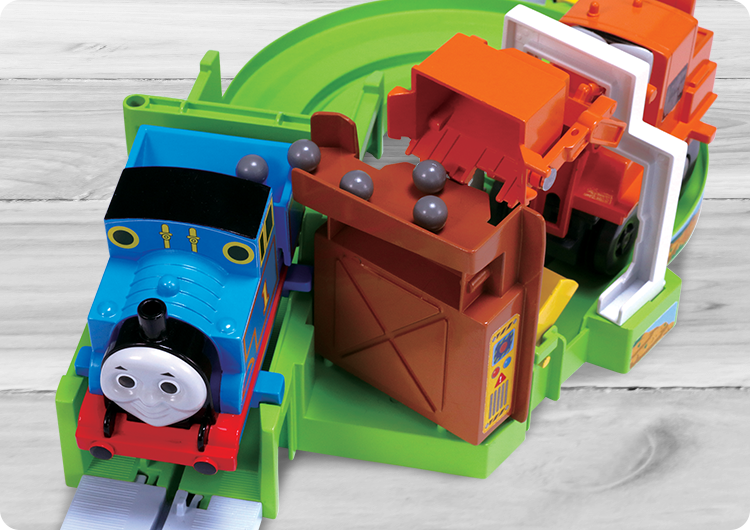 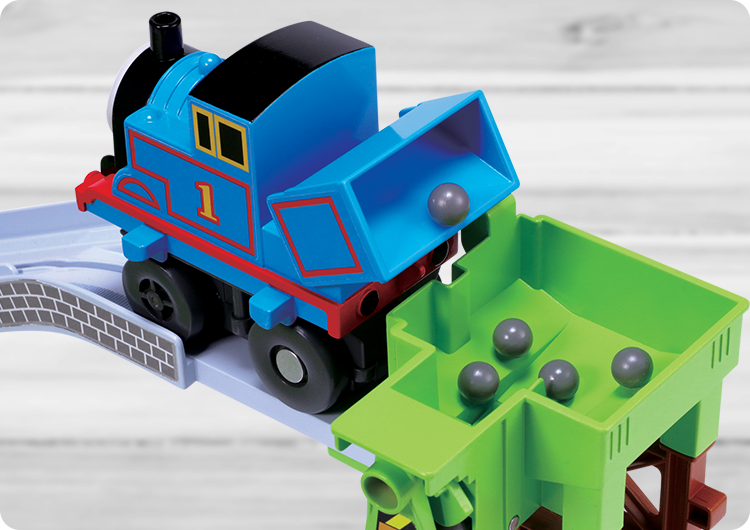 Terence pushes the cargo over to Thomas. 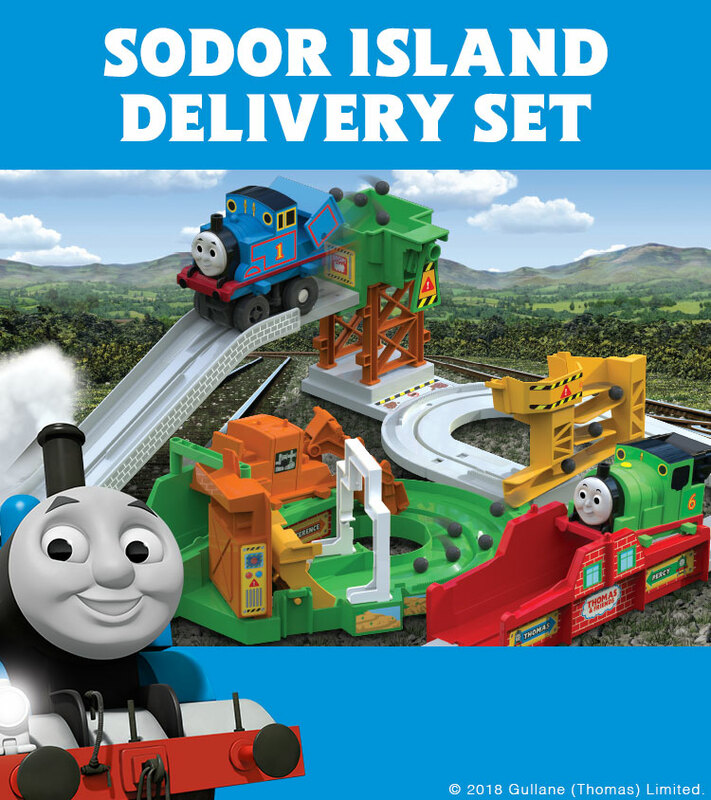 Thomas goes up the hill and delivers his cargo on time!